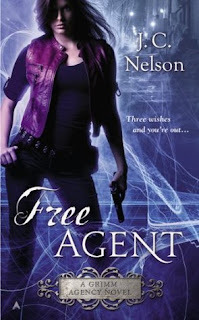 Free Agent is book one in the Grimm Agency series. Marissa Locks is a pretty level headed girl for someone that works as an agent for the Fairy Godfather (Grimm). Marissa was traded to Grimm by her parents so their other daughter would be saved from some sickness. So she's basically working as hard as she can until she pays off the debt which will take years. Marissa's job is an interesting one, she gets to make a prince fall in love with her, then break his heart. That way a princess can swoop in and they fall in love. I guess true love isn't as easy as fairytales let on. She also makes trips to the wolves to trade pigs for the children the wolves captured. Marissa is snaring a prince for one of their clients and everything seems to be going fine. Until she finds out the guy she targeted was not a price after all. She actually had feelings for this guy, so it pained her to find out she broke his heart when he could have been hers. Something is amiss when she goes after the right prince and a group of people pull her aside and cast a curse on the "prince" Marissa likes. 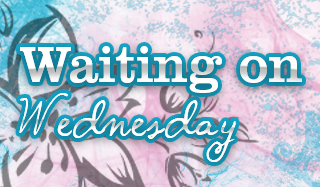 Marissa has to figure out who is causing trouble and see if she can get her princess and prince together, all while trying to save the day. Free Agent is unique and I really enjoyed Marissa's character. She really did get the short end of the stick when her family promised her to Grimm though. I wasn't sure if she'd be able to win back her fake prince since they did have a good time together. All in all, I enjoyed this book, and I'd suggest it if you're a fan of fairy tale type stories. Ah, something different. Different is good. Sounds like something I might enjoy. Hm, may have to try it out! That does sound pretty unique. Definitely a different take on princesses ad princes! This sounds like something different to try. I just added this book to my Audible wishlist (yay for audio!). I really like fairy tale type stories so I need to check this one out. It seems like a cute, fun one. Great review! This is an author and series I want to try. It sounds like something I'd enjoy. :) Thank you for sharing it.